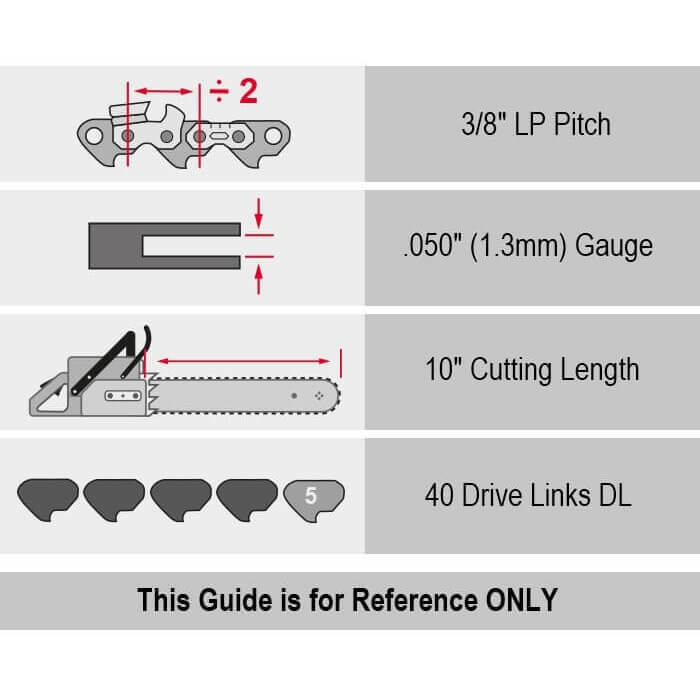 Start by measuring the distance from the tip of the chainsaw bar to the point where the bar first emerges from the saw’s casing, a tape measure will provide that information. Next round the measurement up to the nearest even number if the figure was uneven or fractional. This number is the bar measurement. The most common bar measurements are 16, 18 and 20 inches. 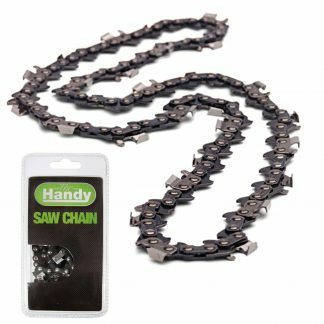 Now stretch the chain on a flat surface and look for the chain’s drive links, which are sometimes referred to as lugs. 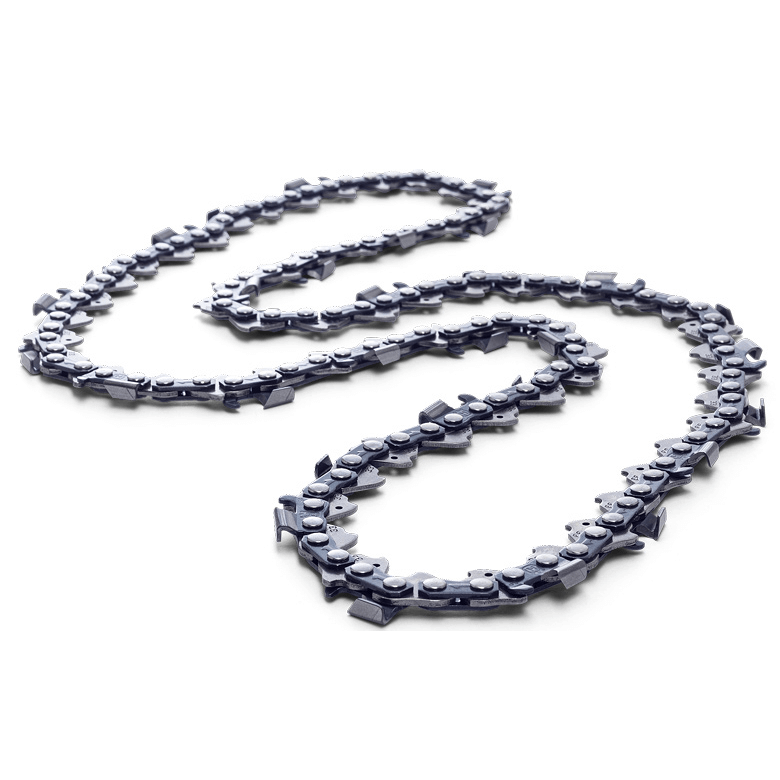 These links protrude from the underside of the chain, and they grab the drive cog, powering the chain. Count the number of drive links on the chain. To determine the pitch of the chain, you need to measure the distance between any 3 consecutive rivets that hold the chain assembly together. Measure from the center of one rivet to the center of the third one. The rivets are noticeable between the drive links and the cutters — the cutting teeth that lie on top of the chain, to arrive at the pitch, divide the measurement by 2. The pitch, together with the number of drive links, describes the chain’s length when seeking replacement chains. Examine the number of drive links and the pitch numbers at which you arrived. 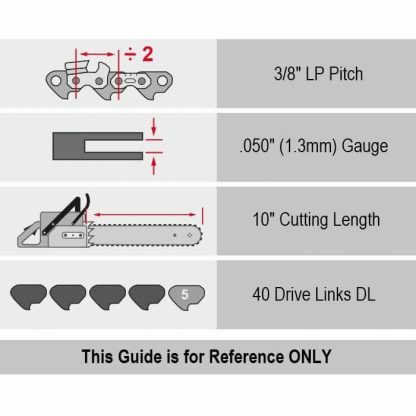 The sum of these two numbers is the length you look for when replacing the chainsaw’s chain.